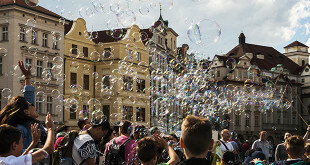 This chapter will give you some suggestions on where to visit during your stay in Prague and how to capture the real flavour of the city. 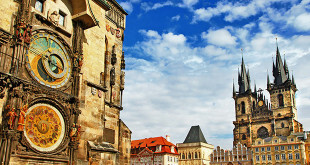 Attractions which you must visit are: Charles Bridge; Old Town Square, including the Astronomical Clock; Prague Castle; and the Jewish Quarter. If you don’t visit them you cannot say you have visited Prague! Consider visiting other sights based on your personal preference and time. 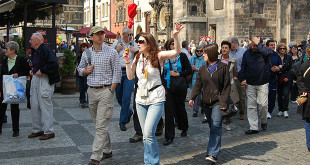 It is also a good idea to do a guided walking tour. For the most beautiful views of the city visit: Old Town Hall Tower, Powder Tower, Old Town Bridge Tower, Lesser Town Bridge Tower, St Vitus, St Wenceslas and St Adalbert Cathedral Tower, Prague Castle ramp in Hradcanske namesti, Petrin Observation Tower, Letna Park – Hanauer Pavilion, belfry of the St Nicholas church, Zizkov TV tower, Vysehrad. 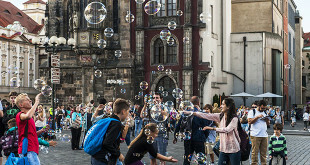 Advice to Beat the Crowds: Get to Prague Castle either 1st thing on a morning (go to St Vitus Cathedral at 09:00—except Sunday mornings, when it is shut for Mass), or mid-afternoon (shuts at 6pm during summertime, 4pm during wintertime). 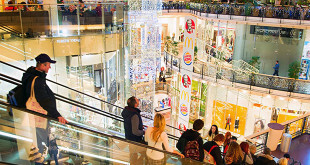 Paying for your own tour guide for a historical walk is quite inexpensive, and permits you to select a time (early morning or evening) and route to side-step the crowds.